Meanwhile, if you've made a rose, perhaps you'd like a leaf. Leaves are easy! 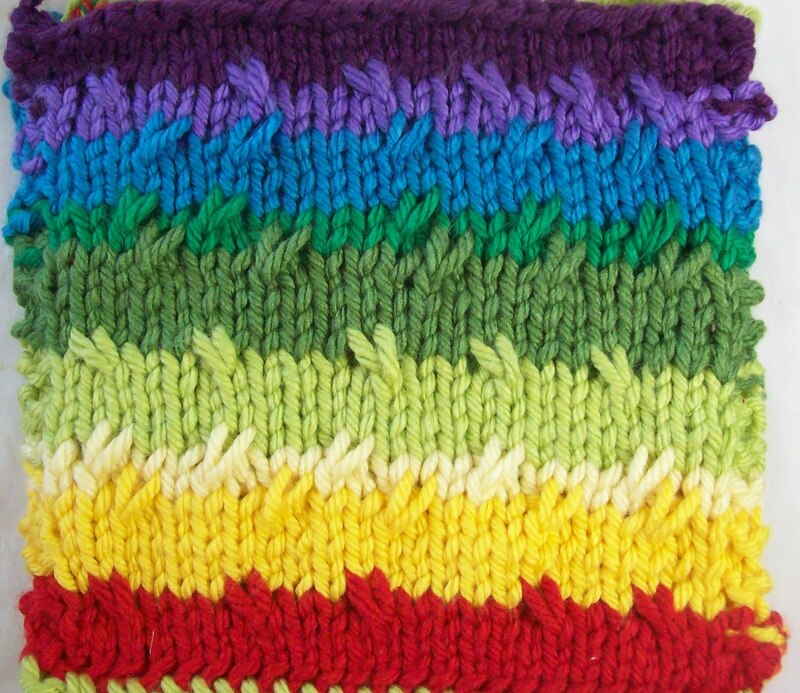 I am giving you the most basic pattern, make a few, and then make some different ones. The Leaf 1st half, INCREASES. R1: K1, YO, K1, YO, K1—note the center k1 is bold.. this is the center of the leaf. R7, (9, 11, 13..)Continue in pattern, making YO's either side of the Center stitch. R1: SSK first 2 stitches. Knit across row, till 2 remain, K2tog. All remaining rows, Decrease first 2 and last 2 stitches till 3 stitches remain. 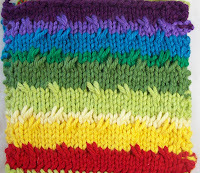 slip to together (as if to knit) knit 1, Pass the 2 slipped stitches over knit 1. Cut a long tail, and bind off last stitch. The long tail is useful if you are sewing the leaves to something. 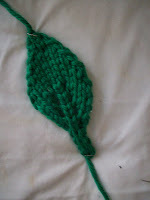 (1)Knit 2 identical leaves, (in the same color or coordinating colors) sew them together, and use as you might use a pompom. The second leaf doesn't need stem, start increasing right after casting on. 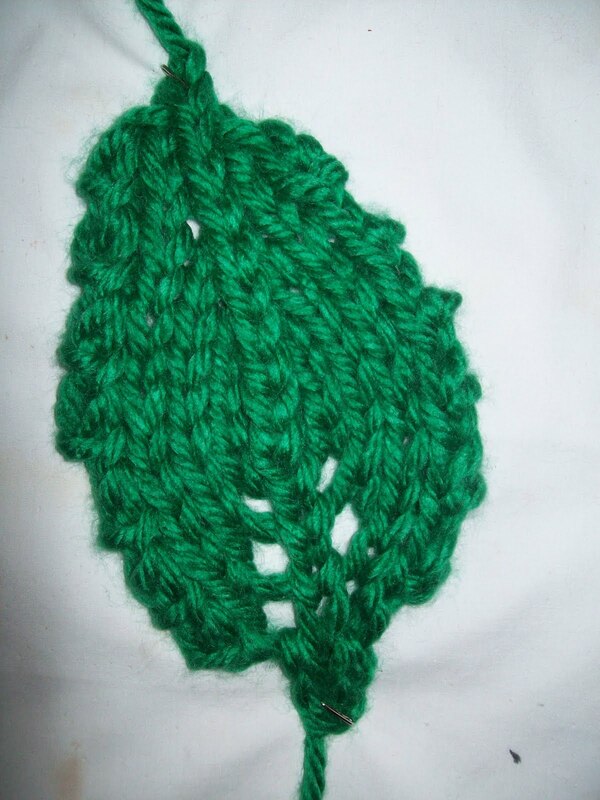 (2)As you work the leaf, increase 1 stitch (the first stitch in row, use a knit cast on to increase. This second leaf has increases/decreases along the edge, giving it a notch look, and center decreases. Like these ideas? Check out Nicky Epstein's new web page and blog —and find a free pattern for a knit oak leaf.. (and so much more!) Her books about flowers and knit embellishments have more leaf ideas, of every shape and varity. 15 blocks is a pretty impressive number. You should be very proud.